Design Thinking isn’t wrong. It just isn’t enough. Design Thinking, the widely celebrated innovation model built on observation and prototyping, seems overdue to be assessed with the same scrutiny and iterative spirit it asks us to aim at everything else. Time now to say, ok, we’ve used Design Thinking and prototyped this thing… what have we learned about creating new products, new services and new businesses? What’s working in our innovation and what’s not? What should the next model do that this one can’t? The increasingly evident answer is that Design Thinking is 100% effective at solving 50% of what it takes to create big innovation outcomes that deliver increase in revenues and profits. Design Thinking is relatively new as an ink magnet, an academic pursuit, and a business paradigm, but its principles have, in various guises, been around for ages. Tackling innovation challenges by applying lateral thinking in an intuitively-led problem-solving process of observation, interrogation, creation, and iteration has a pedigree stretching back from de Bono to da Vinci. Working on the front lines of transformational innovation — doing not the close-in line extensions, but the bigger, harder plays that create and grow new markets and businesses — I’m a fan of all but two aspects of Design Thinking. The first is just semantic. The power of empathetic creativity in innovation is immense and to attach it to that subset of creativity we call design is akin to saying life is synonymous with breathing. Design is to creatively-fueled innovation as breathing is to life — powerful and fundamental, but part of a bigger whole. The meatier issue that is the impetus and focus of this paper is that Design Thinking is overdue to have its own tenets pointed in upon itself. By now, it’s been sufficiently road-tested for us to interrogate it with the same rigor it asks us to aim at everything else. It’s been prototyped. What have we learned? And in those lessons, is there a path to a more powerful model? The answer is yes. Let’s kickstart the prototype appraisal with a simple provocation. If, on its way to work tomorrow, Design Thinking tragically stepped in front of a bus, what would be its legacy? Any combination of the above would be a great tribute. There’s just one problem. The big companies eagerly embracing Design Thinking are not doing so out of mere curiosity, trendiness or a footloose desire to unlace their wing tips. They’re grabbing at it because transformational innovation has simultaneously become more important to long-term growth and more difficult to pull off. In the end, what these companies crave is not a way to make innovation more creative for creativity’s sake, more humanistic for humanity’s sake, or simply to elevate the quality of the products moving through the pipeline. What they’re after is a way to make innovation a more powerful, impactful and reliable growth engine. Simply put, they need innovation to work better. Design Thinking, as applied to the creation of business-building transformational innovation, is undeniably a giant leap forward from the linear models that preceded it. But in the realm of business tools, being better-than-what-came-before has a short shelf life as a measure of success. Just ask your Palm Pilot. The reality is that across sectors and companies, the innovation imperative is going up, but hit rates and ROI are going sideways or down. It’s time to shift the conversation around Design Thinking from the rear view mirror to the road ahead — from better-than-the-old-way, to what growth-minded businesses need moving forward in a competitive environment that grows more intense by the day. As the first well-structured model for injecting empathetic, humanistic creativity into innovation, is Design Thinking the end game? Or is it like the first mobile phone? Paving the way, then giving way to the smart phone that built on what was right, but was far more useful and valuable. 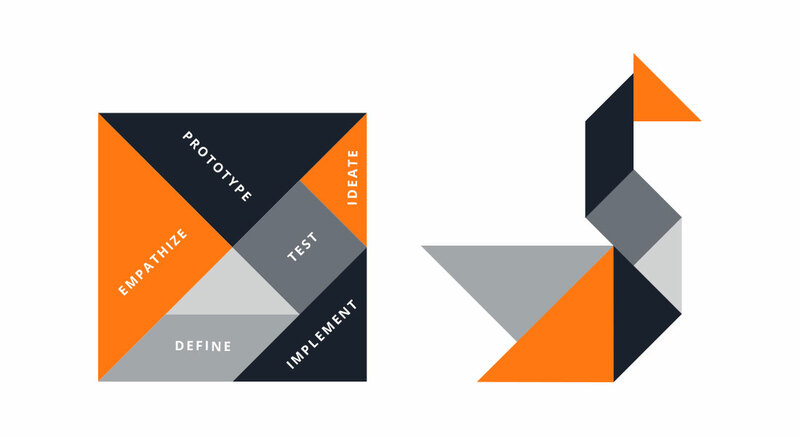 Following Design Thinking’s own playbook, let’s say that this prototyping exercise, conducted across a broad array of companies and industries over a number of years, is doing no more and no less than what every other prototype is supposed to do. It’s showing us the gaps between what the model in hand does and what a subsequent model should do to better serve the needs of the marketplace. The things limiting Design Thinking’s impact — not on the innovation process, the zeitgeist or the academic world, but on its tangible outputs, hit rate and returns to the shareholders bankrolling its use — are becoming clearer the longer it’s in play and the more companies it touches. The gap lies not with what Design Thinking is or does, but with what it’s missing. It has gone to market as an incomplete answer to what companies need to successfully monetize high-impact transformational innovations in the climate they now face. In the past two decades, the business world has become far more complex. The low hanging fruit has already been plucked. Markets are saturated. Retailers are flexing their muscle. Competition is global, local and nimble. The half life of competitive advantage continues to shrink. Resources are tighter. Big bets need bigger justification. When the consumer solution is the only big issue on the table, Design Thinking can deliver in spades. But those cases are increasingly rare. Innovation is now, in nearly every case, a two-problem game. The increasingly complex needs of the business need equal attention in the form of disruptive growth strategies, new business models, and new ways to profitably redeploy existing commercial assets. Big issues that Design Thinking wasn’t designed to address — like where to play, how to win, how to create new competitive advantage and how to make money—are increasingly fundamental to the innovation process, and asserting themselves on what makes it into the pipeline and the P&L. Most CEOs will tell you that in today’s climate, exciting a consumer with a new possibility is far easier than getting a company to do things it doesn’t know how to do, or have the asset base to deliver against. Design Thinking, or any other one-sided model, comes with a built-in structural bias toward delivering ideas that would be great for consumers, but will never reach them because they’re commercially unattractive, strategically peripheral, naïve of capital requirements or operationally impossible to commercialize. As design researcher Dr. Sam Ladner put it, “There is no shortage of creative solutions to unmet needs, only a shortage of profitable ways to provide them.” The next leap is obvious. We need a model that solves both sides of the two-problem game. Obvious as it sounds, these lines are blurred in innovation practice with surprising frequency, and big consequences for shareholders bankrolling a given initiative. Each has a pivotal role in transformational innovation, but none is sufficient on its own. A great idea points the way to a two-problem solution by defining a strategically attractive gap in a market, and a market in the gap. A great business requires, among other things, intelligent use of assets, sustainable competitive advantage and a path to long term growth. 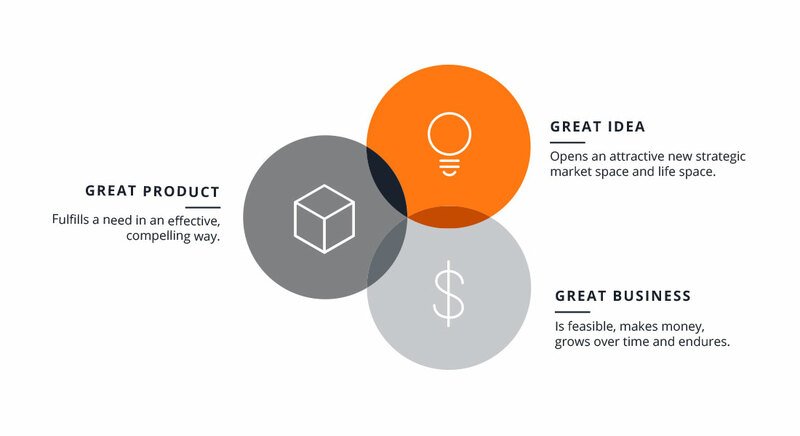 A great product experience — Design Thinking’s sweet spot — is highly valuable when it embodies a big strategic idea and works within a profitable business system, but merely interesting when it doesn’t. Deconstructing some well known hits and misses helps illustrate the distinction, and set up a framework for the shift to a two-problem model. Let’s start with some that nailed the two that too often get the most attention — the idea and the product—but missed wildly on the third. TV was genius. The product is tremendous—bringing hundreds of channels, superior sound quality and a vast array of commercial free offerings to an increasingly car-bound consumer. The business, however, has been nothing short of a disaster. The cost structure attached to delivering ubiquitous satellite coverage and top on-air talent pushed sirius and XM toward bankruptcy. LeapFrog was another great idea and product. Turning electronic games into an educational tool (or education into games) represented a big win for parents who could get their kids to willingly do something educational, and for kids whose parents were suddenly handing them electronic games. No begging required. Its products were well accepted. The problem was that it went to market via the toy business, which carries famously tight margins that eventually got the best of LeapFrog. Its market cap is now less than 10% of its peak. What these examples highlight is that solving for a consumer need is critical but not sufficient to the creation of a commercially successful piece of transformational innovation. What also becomes clear is that treating the human product experience as the thing that matters above all else is akin to building a one-legged stool, raising the odds of falling over. Now to what happens when you nail all three in equal measure. The idea was brilliant—transforming water from a pure ancient thing to a modern carrier of nutrients and flavor turned the source-obsessed water world on its head, and gave consumers a new lifestyle tool. Brought to life with an iconic bottle that tells its own story, delicious liquids in vivid colors that break through the clutter at retail, and a premium price point, the business sold for over $4 billion, and is purpose-built to innovate on a dime to address emerging need states and tastes in the years ahead. It was a radical idea. Taking the music business’s greatest point of risk and pain — the A&R game of placing big bets on artists ahead of knowing whether they’ll be popular, and turning it on its head by making the public into the A&R department. In the process spawn a hit TV show with a 10-year run, a string of hit records, and a vertically integrated business, monetizing the show, the albums of its pre-promoted stars, tours, and even the votes. It should be considered among the most complete 360º innovations of the past decade. What the business world needs is a model that obsesses over winning the two-problem game, serving the needs of both the consumer and the company by nailing a great idea that opens a new strategic market space, a great product offering, and a great business. That is a powerful and important contribution that should be leveraged and pushed further in the years to come. But it’s gapped in the other areas, for no other reason than it wasn’t built to go there. To unlock the full power of creativity in igniting successful innovation outcomes, human-centered creativity has to become a supporting part of a bigger, more complete, and more strategically astute whole. Let’s call this bigger new thing Money + Magic, an approach that leverages all that’s powerful and right about Design Thinking’s core strengths, but builds in the missing link that separates the merely clever from the successful, lucrative and strategically valuable. 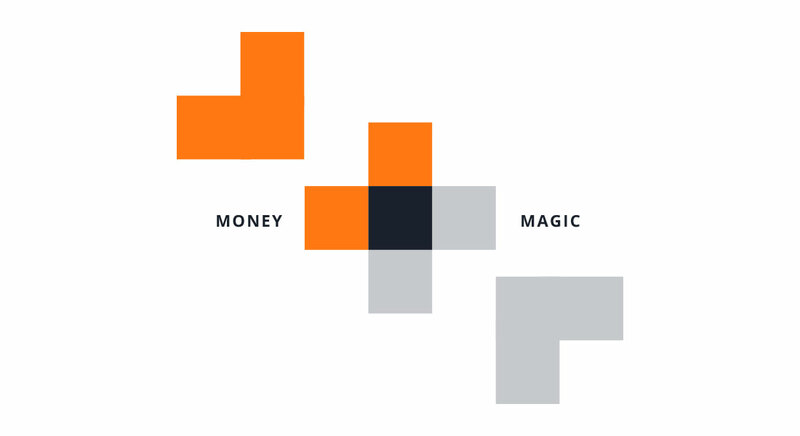 Money + Magic is about pairing up human-centric creativity with its catalytic complimentary opposite capability — the commercial acumen needed to dissect the strategic, operational and financial needs of a business. Rather than start with a one-problem orientation—focused solely on finding a human problem to be solved with a new product experience—Money & Magic works from beginning to end with the assumption that there are two discrete sets of problems to be interrogated, defined and solved concurrently—the needs of the consumer and those of the business out to serve her. It says that success lies not in first solving for consumers then hoping the commercial, financial and strategic value will eventually get figured out, but in consciously pursuing new intersections between consumer needs and business needs, and only advancing ideas where that sightline to intersection is evident. Rather than assume a robust set of strategic and commercial choices will precede the innovation process or be made independent of it, Money + Magic makes the questions of where to play, how to win, and how to build and leverage competitive advantage integral to the innovation process, bringing as much interrogation and lateral perspective to the needs of the business as to the things that touch the consumer’s life. The first killer app to the is the identification of an array of insights defining pain points and opportunities in the consumer’s life, and a parallel array of pain points and opportunities for the business that’s out to serve her. The nature of those consumer insights — identified through observation and empathy — is quite familiar to the Design Thinking conversation. The commercial analogs are not. Those commercial insights may come from spotting a costly new piece of infrastructure under utilized in the current business, an underdeveloped consumer segment that represents a long term business risk, a portfolio gap in a high-growth adjacency, an emerging technology with no defined value to consumers’ lives, or a situation where a higher margin technology platform is stuck in a niche part of the business rather than its core. The consumer insights are doorways to relevance and value in the marketplace. The commercial insights are doorways to strategic, financial and operational wins for the company. Where inventive thinking has always been described as a process of pattern recognition and connecting dots no one has connected before, Money + Magic presents that process with two sets of dots, and a challenge to find ideas that forge connections between them — not unlike a cat’s cradle of connections between opposing anchor points. Does this impede creativity? Quite the opposite. Creativity loves an intriguing problem to solve, a compelling array of stimuli, an ability to bounce around among different perspectives, and the adrenaline rush of making new connections. Beyond this first killer app of using parallel sets of consumer and commercial insights to catalyze idea development, Money + Magic's second killer app is marrying the "wow" with the "how." 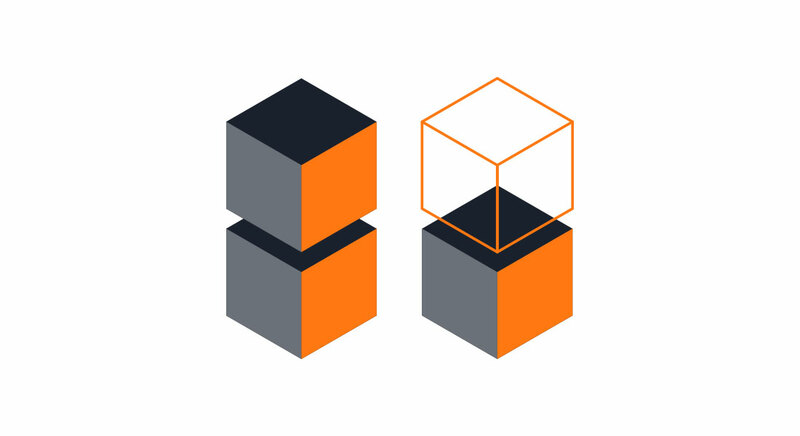 In a two-problem orientation, the "wow" is that transformational idea capable of catalyzing both a great offering for the end-user and a great business for company stakeholders. The "how" is the operational, technical and financial road map to making an idea doable and profitable in a reasonable time horizon. The distinction between working this way vs. the traditional orientation of Design Thinking is quite profound. Design Thinking’s single-minded focus on consumer realities, followed quickly by a leap into product prototyping, leaves it either to chance, to someone else or to a subsequent phase of work to worry about turning a consumer solution into a strategically, financially and operationally attractive outcome. Money + Magic not only says the needs of the business should be solved in parallel, but that they can — with no compromise to the inventiveness of the idea or its impact on a consumer’s life. All that’s set aside is that too common breed of ideas that might have been great for consumers, but never had a shot at reaching them, owing to big strategic, economic or operational flaws. Money + Magic says that if an idea can’t actually reach consumers, improve their lives, and create commercial value, it's not a great idea. To sum it up, in the pursuit of high-impact business growth, Money + Magic is both a philosophy and a structured methodology for developing and accelerating transformational innovation. Innovation success isn’t measured in meetings; it’s measured in market. The right innovation process is one that serves this end. Having an idea without knowing how it makes money is as valueless as knowing where growth lies without having the idea to unlock it. Unlike human-centric models, Money + Magic works from day one to uncover two separate sets of problems — those of the consumer and those of the business — and to solve them concurrently rather than sequentially. The pain points and unfulfilled aspirations of the consumer are identified through observation and creative empathy. Those of the business are uncovered through intensive strategic, financial and operational exploration. This two-front quest delivers separate arrays of consumer and commercial insights to catalyze invention. The creative process is unleashed on spotting patterns and new connections between the needs of the consumer and the needs of the business, sparking ideas out of the tensions between them. 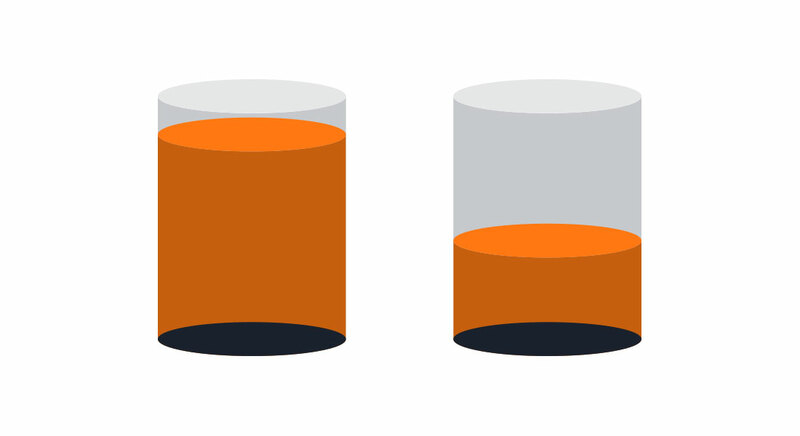 Of the many possibilities in view, the only ideas that advance are those with a sightline to solving for both need sets. Bringing ideas to life with high order creative insight, design, sensory experience and storytelling delivers the wow. Robust strategic, operational, financial, and technical dimensions deliver the how. The net result is ideas that are big, fast, and doable, making transformational innovation the more impactful and reliable growth engine companies need it to be. 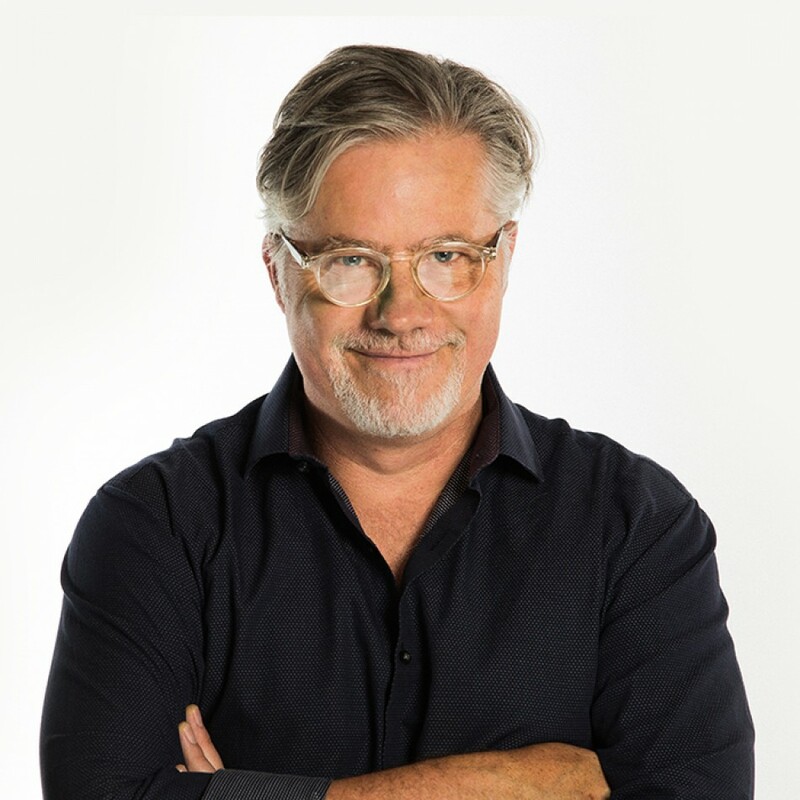 As Co-Founder and President of leading innovation consultancy Fahrenheit 212, Mark Payne has spearheaded innovation projects that have created over $3 billion in revenue for Fortune 500 companies, entrepreneurial emerging businesses, and private equity firms. As the architect of the firm’s Money + Magic philosophy, its outcome-based business model and its breakthrough Two-Sided Innovation Method of fusing analytical commercial strategy with user-centered creativity, he is both a front line innovator shaping new product pipelines for the world’s great companies, and an industry thought leader.